Hard Times in Hornstown. This is a text-based sandbox time managment game focusing on sexual situations including several fetishes. The game puts you in the shoes of a boring everyman down on their luck.Your goal is to manage time and money efficiently and to build a life for yourself that you always wanted. 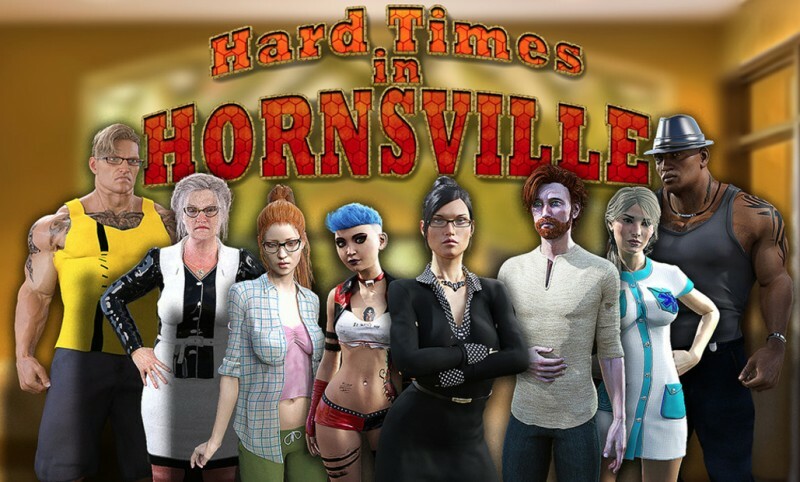 The game has both straight and gay sexual content and several opportunities for the transformation of the player character both physically and mentally.